NZDUSD is chiefly under the influence of RBNZ decision regarding the rates. 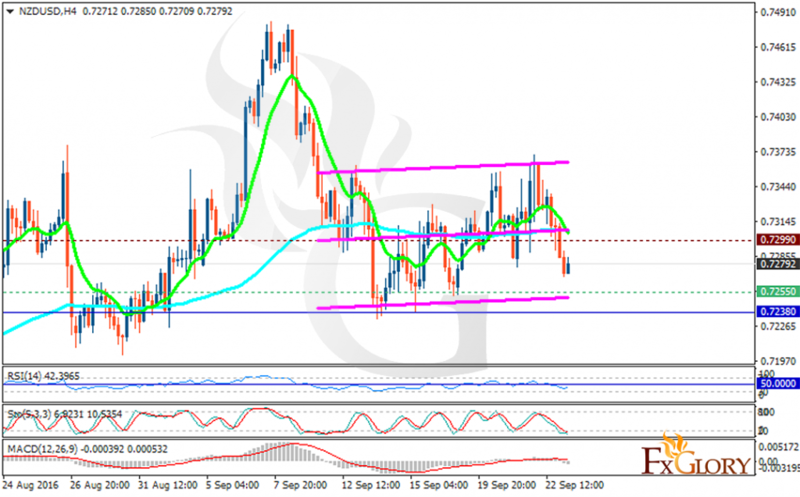 The support rests in 0.72550 with resistance at 0.72990 which both lines are above the monthly pivot point 0.72380. The EMA of 10 is moving with bearish bias and has already reached the EMA of 100. The RSI is moving below the 50 level, the MACD indicator is neutral territory and the Stochastic is moving in its minimum range. The price growth may continue targeting 0.7400.